The mesmerizing feeling of warm sun rays leaning down into tropical waters, and breaking back through the water’s vivid facade as it rebounds off the glistening scales of a rare fish provides an experience that stays in one’s memory for a lifetime. I thought I’d share some of the most beautiful species that I know in the waters. There are in the order i consider them the most vibrant and beautiful, since, beauty is, ofcourse, in the eye of the beholder. The emperor angelfish, Pomacanthus imperator, is a species of marine angelfish. 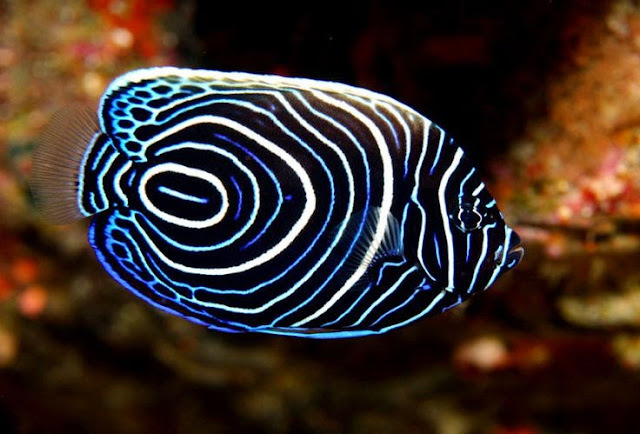 It is a reef-associated fish, native to the Indian and Pacific Oceans, from the Red Sea to Hawaii and the Austral Islands.